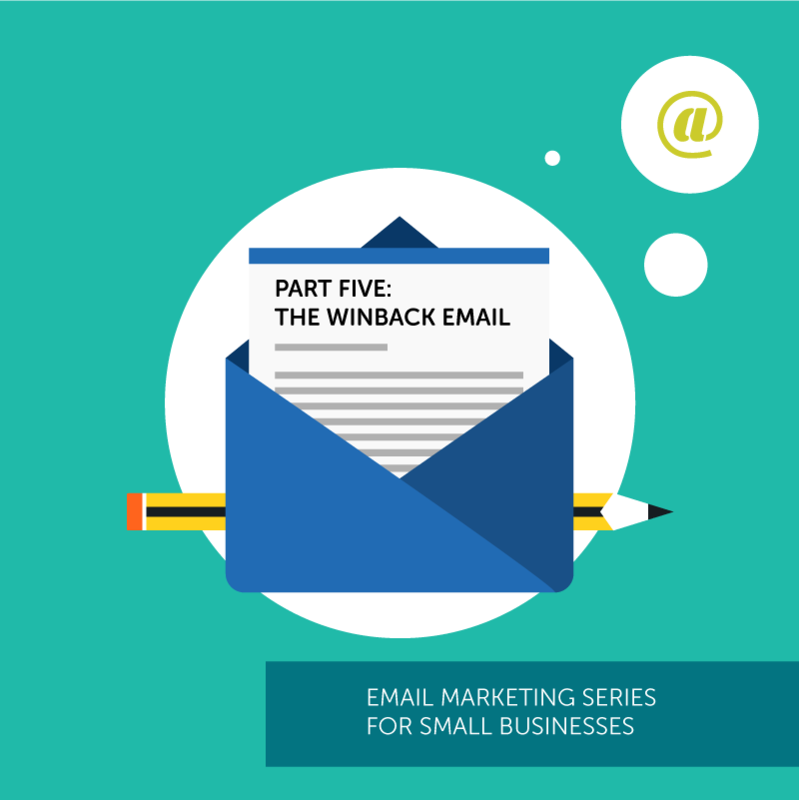 Welcome to the final installment of our email marketing series. In part 5, we’re going to help you overcome the inevitable: lost customers. Despite all of your hard work, persuasive and engaging email marketing messages, and superb customer service, some of your once enthusiastic customers have “slipped through the cracks.” You won them over. They joined your email list. They went from being enthusiastic leads to happy, loyal customers who bought from you again and again. But now, nothing. They seem to have disappeared on you. Their disappearing act could occur for a number of reasons. They could have been won over by your competitor. Or maybe they had an unpleasant experience with your company’s product or staff. Don’t beat yourself up over it. It happens. And it will happen again. But there is something you can do about it. Hint: It involves email marketing. These former customers may not be buying from you at the moment. But they are still on your email list. Use this to your advantage. Here are some steps you can take as you work to win them back. First, use your email marketing software to create a segmented list of subscribers who are also previous buyers but haven’t bought in a while. Then send an email with the goal of getting their attention and getting back on their radar. But remember they won’t come back just because you want them back. They are asking themselves, “What’s in it for me?” and if you don’t answer that, game over. So tell them what’s in it for them. Give them a powerful incentive, financial or otherwise. Remind them of why they chose to do business with you in the first place. Talk about the benefits you can offer them. And, keeping in mind they may be skeptical, show them proof of what you say, especially social proof in the form of customer testimonials. If they have left you because of a mistake you made, or because your product didn’t deliver as promised, you want to offer a sincere, heartfelt apology. If possible, use your message to try to start an email or chat dialog, or even persuade them to give you a phone call. Understand that an apology can go a long way, and might even help you win your customer back. Because who can say no to those puppy dog eyes??? Here’s what a sample “We Want You Back” email might look like. Subject Line: Sarah, Where Have You Been? We Miss You! I hope you are doing well! I noticed you didn’t renew your SEO services contract with us this year. Perhaps we did not live up to your expectations, or maybe you’ve decided to go with a different vendor. I’d love your feedback. Please contact me directly if there is anything I can do to help you address any concerns you may have. Your satisfaction is my number one priority. We want you back. To show you we mean it, I’d like to offer you a 20% discount off of your next project with us. In your email, make it easy for your reader to do business with you again. Make sure you address any concerns and put forth a great offer to get the relationship back on the right track. A smart, consistently-followed customer re-engagement strategy will win back many of your customers you thought you lost. When they get back on board, you will want to treat them like gold and nurture the relationship well (as you should with every customer relationship). This rounds out our five-part email marketing success series, and while we’re sad it has to come to an end, we feel confident that you’re all email marketing experts at this point so send away! Come back soon for more tips on email marketing, marketing automation and CRM. In the meantime, check out the rest of our series!